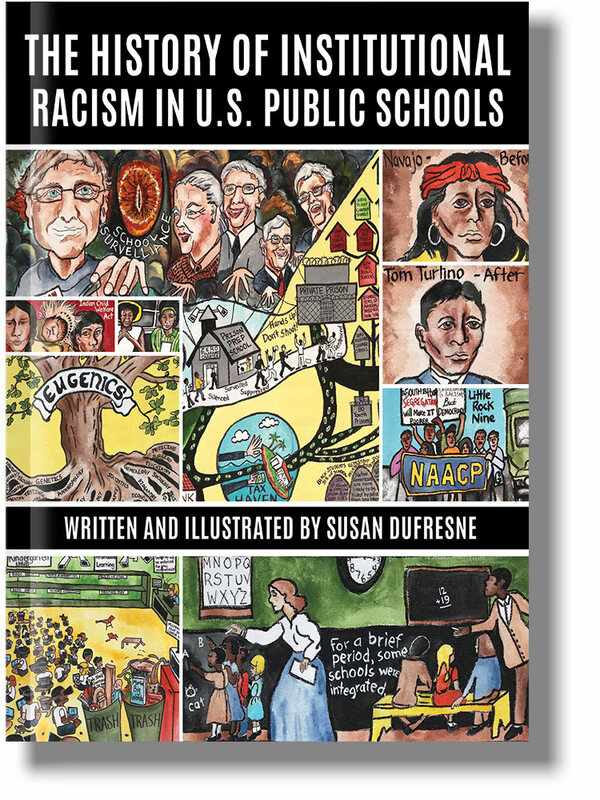 The History of Institutional Racism in U.S. Public Schools is a book intended to challenge the authority of the policymakers and misanthropic funders who are wreaking havoc in public schools, closing schools in Black and Brown neighborhoods, and pushing segregated charter schools on communities that have every right to exceptional learning environments in fully funded public schools. 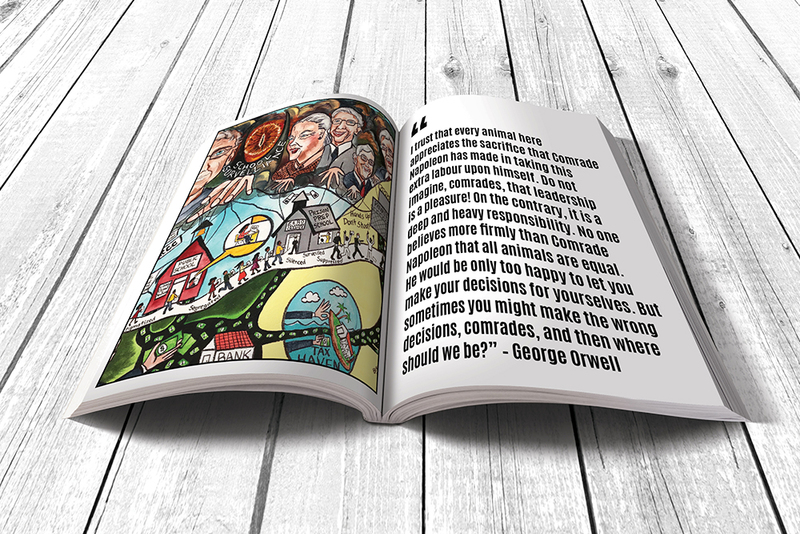 The book is in three parts. 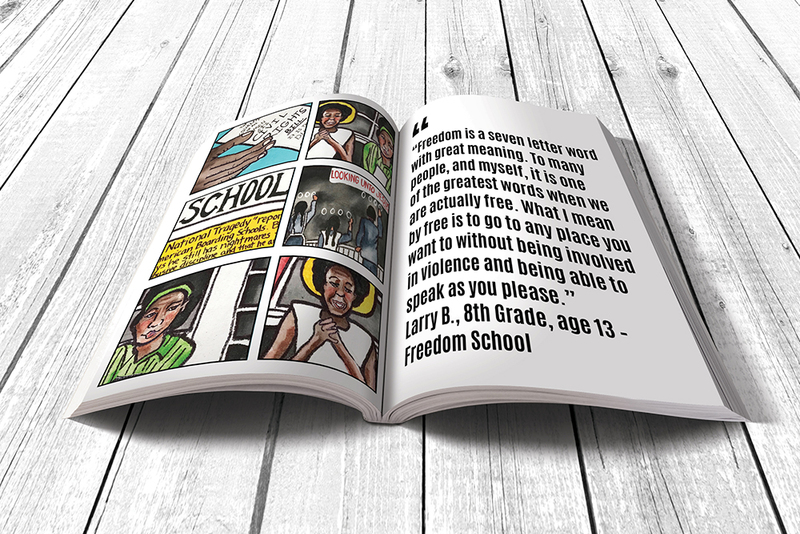 In Part One Susan DuFresne writes about the remarkable journey she took that resulted in the creation of the three 15 foot graphic panels that depict historically accurate pictures of racism in U.S. public schools. 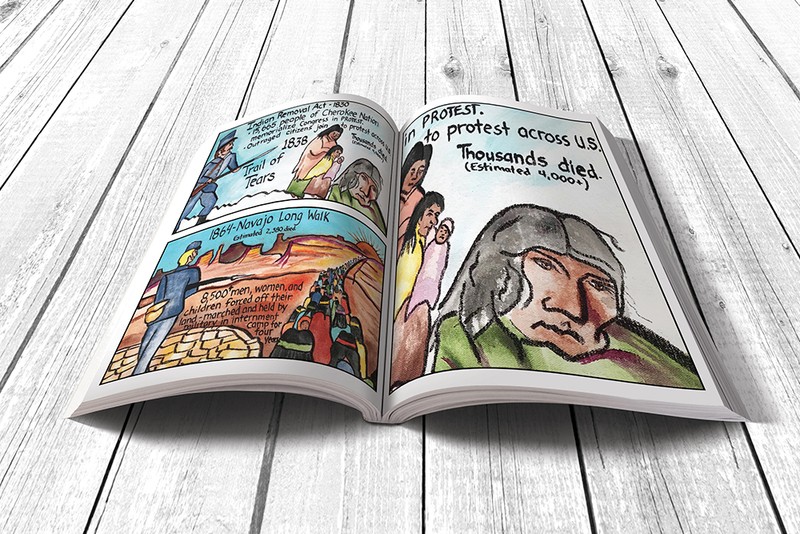 In Part Two the panels depicting racism and discrimination are transformed into a graphic novel in which the paintings Susan created tell the story of three hundred years of racial injustice that is still endemic today. In Part Three the information that Susan painted in the margins of the paintings is presented together with notes from Susan on suggested questions that could be asked and actions that could be taken. See what more readers are saying about the book on Amazon. Susan DuFresne is an artist and educator who advocates across all intersectional groups, organizing for social justice. She works alongside colleagues and friends who are leaders in the Black Lives Matter Movement and the Badass Teachers Association. She is a vocal supporter of Indigenous peoples, the Women’s Movement, and LGBTQIA activists, and cares deeply about environmental issues. She visualizes a future where these diverse groups join together to successfully return power to the people. Susan is currently teaching children in an integrated kindergarten classroom as both a general education and special education teacher.